Happiness is perhaps too bold a claim. Tobacco manufacturers are always more than happy to make claims about their products that other more circumspect minds may shy away from. And yet, happiness is certainly close to the mark. The Crucible Theatre has been opened a good seven months now, and I have been unwowed though not unhappy with most of what I’ve seen. I’ve not objected to any of it, really. Lucy Cohu’s performance in An Enemy of the People lent the character a slightly unhinged quality that I thought was unhelpful. Mrs Stockmann, it seems to me, would be a grounded woman, still and cautious when it came to expending energy. If she whirled and raged every time Peter did something daft she would have been long since dead. And so I enjoyed the play, but thought it a little uneven, as if it were swaying in the breeze of public opinion and couldn’t quite decide where or how to stand. Alice too, I felt, suffered from a similar flaw. It felt like half an idea, and to make up for it it had been extended to three times its usual size, much as Alice is in the story. Or perhaps it was too many ideas. The heavy handed didacticism of the final scene also spoilt it for me. But then I suspect I wasn’t in the target audience, it wasn’t my thing. Though as someone who cares about the marketing of the arts I’m not sure that the audience had been told who the show was for – maybe because it hadn’t been written when the selling began. Hamlet though is my thing. I love it. It’s intricate and yet sprawling story intrigues me. It is about so much, and yet for so long in the play the main thing refuses to happen. Its testament to great writing (editing and direction) and acting when as an audience member you don’t just wish he’d get on with it. In a good Hamlet you twist and turn along with him, wondering and wandering through the same ethical blind alleys that the characters tread down. For a character that is so inactive, it takes a hell of an actor to make Hamlet understandable. John Simm is fabulous. Last year I saw both David Tennant and Edward Bennett, his understudy, play the role. I wasn’t sure about Tennant’s prince. He seemed a bit wet. I know Hamlet is typified by inactivity but I think he believes it when he says he could drink hot blood – I’m not sure that the character Tennant created could have. At the start of the play, Hamlet, I think it’s important to remember, has just seen a ghost. Alright, in this secular age it would be all the more remarkable to have cast-iron proof that there is life after death, that heaven and hell and purgatory and torment exist. But even for Hamlet it must be something of a shock. When he devises his play to catch the conscience of the king we can perhaps forgive him for trying to make sure that the Ghost is an honest spirit. Sometimes this seems like an excuse, another stalling tactic. This production does an exceptional job of making the audience aware of what is at stake in Hamlet. The characters, we now know, face eternal damnation or salvation for their actions. This makes the prayer scene, and the burial of Ophelia all the more potent symbols. Hamlet delays, but wouldn’t you, now you know what is at stake? This isn’t a matter of life and death, in the words of Bill Shankley, it’s much more important than that. The play begins with the foggy, smoky mist of night hanging in the air. In fact with the new air conditioning in the theatre it is even easier to suspend disbelief and imagine you’re on the battlements of Elsinore. The Ghost appears, and appears to have caught the cold. John Nettle’s Ghost has an airy, desperate breathing. It reminded me a little of the souls of Dante’s Divine Comedy – a rasping quality which I quite liked at first. When the ghost stalked the stage his strained breathing put you slightly on edge – it was unnatural. But later in the play, when he must explain to young Hamlet the circumstances of his death the voice was perhaps a little hard to listen to for the length of time required. You have to work hard at the best of times to understand the richness of Shakespeare’s language. While the laboured, asthmatic breathing of the ghost adds to the character, it perhaps detracts too much from the lines he speaks. 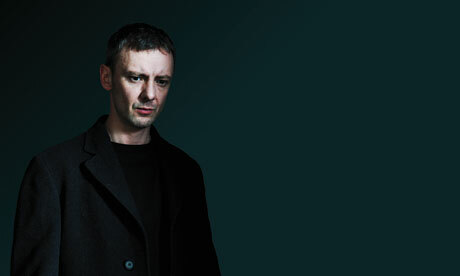 John Simm’s young Hamlet has no such problems. He spits out words at times – though his purpose may be dulled the audience can hear every single word he utters. His Hamlet is bitter and hardened by the experiences of his recent past, and you believe every moment of it. Hamlet has lost so much. In his opening speech, as he remembers his father, “this Hyperion to a Satyr,” we see the struggle of the character to find how to be in this new world. Without his Dad, what sort of a man is the prince to become? It is as if young Hamlet can no longer use that name. Childhood has stopped and now he needs to settle on what kind of man to be. Casting off childish things, he resents having to make the decision so soon. He can’t believe the hand that life has dealt him. This becomes, I think, the point of the famous to be or not to be speech. How can life and natural law be so cruel as to demand that we go on living – how can we call it ‘our life’ when it is affected by so many others and the laws, and punishments of nature (God). John Simm really brings this home in that speech. While I felt as though the weight of those words at the start (To be or not be, that is the question) held him back a little, he enthralled and intrigued me as he went on. I think Simm’s is the most likeable Hamlet I’ve seen – which seems odd for a character that I’ve described as bitter and hardened. But he is likeable. We see this side to him when the players arrive. Here is the man he may have become, a gifted, intelligent man – it explains why he’s so popular at court and amongst the people – something which requires Claudius to act with greater care when trying to dispose of him. He is less comic that David Tennant’s Hamlet, but still gets laughs in all the right places. But Hamlet is a serious man, a thinker – his delay in murder is all the more believable for this trait. As are his frustration and self-disgust as he struggles to be an active agent in a world seemingly shaped by fate. Oddly, my favourite line in Hamlet is ‘What is Hecuba to him, or he to Hecuba, that he would weep for her?’ When John Simm speaks these lines I can see Hamlet’s torture and torment. It cuts to the heart of what Shakespeare does wonderfully. Some of his characters are so believable that the audience is certain that they can’t act any other way. Premeditated murder is not in Hamlet’s nature. This is a play about nature. It is about how we cope with grief, anger, hatred, love and how the only option open to us is to be ourselves. And this Hamlet is tender and caring and loving too. Simm brings a warmth to his instructions to ‘get thee to a nunnery’ which adds another rich dimension to the character. An actor can spit these words out. Hamlet, when saying them, can feel enraged and cheated by the fate he is accepting and the love he is forestalling. But John Simm doesn’t. I was surprised as he spoke these words so lovingly. If Hamlet does genuinely go a bit mad, and who could blame him, then I think here he is just on the brink. He is grieving for his father, for himself and for the love that he and Ophelia could have shared. The Director, Paul Miller has made a brilliant choice to introduce characters earlier in the play than they might otherwise have been seen, to make it easier for us to understand the relationships between characters. This works wonderfully between Ophelia and Hamlet. Earlier in the play, at the end of the first scene at court, after Claudius has dealt with matters politic, there is a beautiful subtle moment when Hamlet, with just a slightly raised arm implores Ophelia to wait and speak with him. It’s brilliant and subtle. It perfectly brings home the fact that Hamlet is now cut adrift, alone on his own sea of troubles. Hamlet’s madness has always intrigued me. I think in this production it is an act, but I don’t think it’s entirely disingenuous. I think it typifies Hamlet’s loss and confusion and self-doubt. Acting mad is just about the only option open to him. He doesn’t know how to act, and so in the meantime he escapes self-judgment and accepts public judgement. Through his choice to outwardly reject reason, while internally his thoughts and reasoning churns like a cement mixer, he buys time and escapes self and also possibly paternal judgement. Internally his reason is always at work, but he can’t put on the pretence externally. Hamlet deplores the actions of his mother. His madness or act of madness, I think, shows he isn’t yet sure of what to do but is unwilling to act with hypocrisy in public. Madness, for Hamlet, is a sort of escape, even when it is feighned. So while Hamlet is pacing moodily, thinking audibly and acting insensibly what do the other characters do? Polonius always stands out. He’s a brilliant character, and Hugh Ross does a great job with him. I particularly liked the opening scene, or rather it made me think – which is always good. It’s easy to play Polonius exclusively for laughs, but Ross doesn’t. The opening scene, where he is instructing Laertes, can be funny. In this production it is, ever so slightly. But it’s also richer and warmer than I have seen it done elsewhere. Polonius is a key adviser at court, he’s not a buffoon. He’s old, he gives unnecessary advice, he’s a bit of a fuddy duddy – he’s just like a real Dad. You can’t help but love the becardiganed codger, and it makes his death and the aftermath all the more meaningful. I liked all the cast, but Simm shines – his sheepish bow at the end belies the fact that this is a masterful performance from a great actor. I love Sheffield Theatres. It is the greatest regional theatre in the UK – and I say that with the upmost confidence of a man basing his judgement on the fact that I can be there in 10 minutes from my home. And that’s the important point of all this. Just as I heartily believe that Sheffield Theatres is the greatest regional theatre in the UK, I would happily accept the assertion of a resident of Leeds that WYP is, or someone from York arguing for York Theatre Royal. People from Scarborough can, without the slightest chance of contradiction from me wear T-shirts proclaiming ‘Stephen Joseph Rulez’ and beside rejecting the linguistic slip I will say nothing to the contrary. It is not only the quality of the work that makes these statements true; it’s the proximity of the theatres to their audiences, to communities, to people. The arts matter, and access to them shouldn’t depend on where you live, or whether a company has dodged some tax and chosen to keep a theatre open or buy a painting. The arts make the world a better place. The access to the arts that these theatres make possible makes them special and indispensible. This is word 2010 of this blogpost. Over 2,000 words for a play that has been performed many thousands of times and was written over 400 years ago. 2,000 words, hundreds of thoughts, multiplied by every single one of the thousands of people who will see this production, and productions just like it across the country. Plays new and old – every performance of them being special and different and ready to make an impression. This is what the arts give us. Art ignites imagination, prompts judgement and reason and enriches all of us. Art calls forth our better angels. It elevates us, and can improve us. We must not let 2010 be the year that sees a substantive reduction in the artistic output and identity of the UK. And we must protect regional art, art that is close to people, both geographically and emotionally.